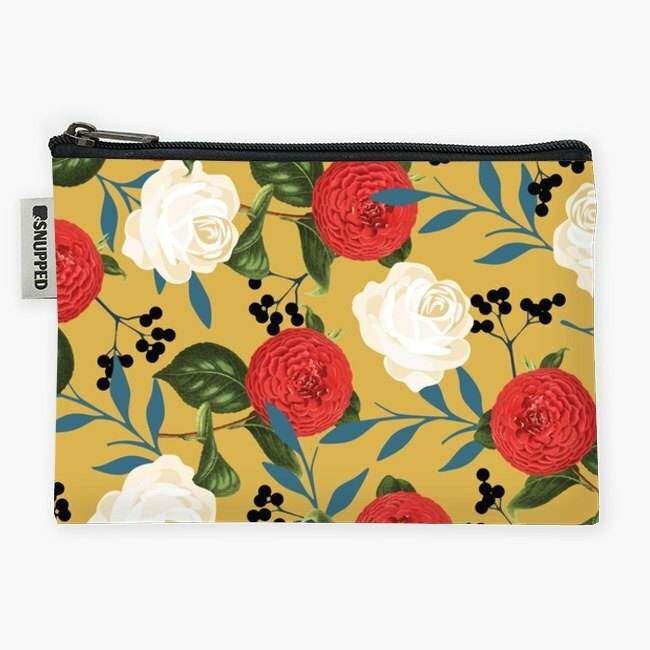 https://farm1.staticflickr.com/684/22717796357_805296d4e8_b.jpg The Zipper is an everyday pouch for your everyday things and available in a huge variety of designs. Be it to store your accessories, make-up, spare change, or even as a pencil case, the Zipper is yours to define. https://farm6.staticflickr.com/5830/22717793847_d6dbe746d6_b.jpg https://farm1.staticflickr.com/589/22717889988_630c68e9e8_b.jpg Size / 8x5.5”, 20x14cm All-purpose And Functional / We've crafted the Zipper pouch using our trademark waterproof Tarp in the simple yet classic zip form factor, creating the perfect companion for all the random things that you have with you. 6 Color Printing / We go beyond conventional 4-color printing. CcMmYK instead of normal CMYK means the colors of your print are clearer and more accurate. HP's print technology ensures your print is always in the best picture quality possible. We use only water-based ink that is non-poisonous and more eco-friendly. Images / Floral Obsession Hit us up to say hi or if you'd like to design something for yourself. Made in Taiwan.